It's been a great day for me. It's Beltane, the Celtic festival opposite Halloween on the calendar, and it's our ninth wedding anniversary. I finished the complete, finished draft of book 2, all edited and gaps filled in etc. and it was sunny all day. Then my pages came from the publisher's, ready for me to put the final tidy up and gloss on book 1. 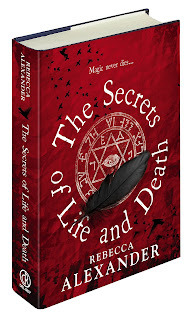 I sent book 1 off to the competition on Halloween and book 2 is going off in Beltane, seems appropriate for a series rooted in magic and sorcery! So we celebrated with a bag of chips on the sea front, eaten out of the wrapper eyed up by increasingly bold and bossy seagulls. I got some lovely flowers, we walked hand in hand to a restaurant and had a lovely meal, we laughed and joked about the book in the euphoria that comes with finishing a huge project, and we are about to enjoy an evening in front of the fire. Well deserved, I think, because the last few weeks have been hard work, had some unpleasant surprises in and generally have felt heavy. Tomorrow it's back to work as usual - I have about twenty epigraphs to write, some of them complicated and they will need research. I have to edit the new stuff I wrote today, including the ending, and I have to put together three book outlines for my agent to look at ahead of meeting up with her later in May. All good stuff, though, I can't wait to get stuck in. Here are my flowers and the proof pages, ready for my perusal! I seem to have two speeds. One is flat out writing ninja, editing twenty thousand words a day, hair on fire kind of speed. The other is writing tortoise, dead slow, cutting then restoring snippets, fussing over tiny research details that I got right the first time, endlessly checking tiny details like formatting of chapter headings (which will get done at a later date anyway). On Tuesday evening we had a family emergency and I went from writing ninja to tortoise in seconds. Wednesday I had time set aside to work but it was like dancing in glue, blindfolded. Thursday I could have easily worked for a few hours but no, glue-dancing tortoise again. Today I woke up early, threw myself at the computer and edited twenty-two thousand words with deft efficiency, cutting out about three thousand saggy middle words as I went. Go figure, I certainly can't make myself do it, it just happens. This makes time management very difficult. I have also managed to enjoy an intriguing book that almost, but didn't quite, keep me riveted. 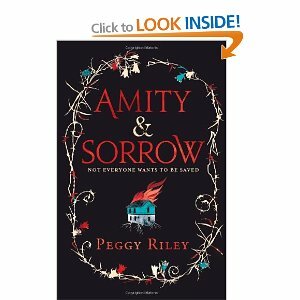 Amity and Sorrow by Peggy Riley was clever, full of interesting characters and well written. The premise caught me straight away, a story of a woman escaping from a polygamous cult when she realises her "husband" is abusing her daughter. The daughters, Amity and Sorrow are well drawn, and the mother Amaranth is well written and engaging. But bits of the story weren't as well realised as I had hoped, and the book could have been longer to follow Amity's progression as well as Sorrow's. There's little movement in either the historical story of life in the cult, nor of the present day post-cult. But I'm nitpicking, it's a very entertaining read, just not a great one. From the useless heap of chapters, scenes and scribbled notes, it seems as if book 2 is sorting itself out. I work by cutting and pasting a chapter I know works into a new document, then select chapters to go after it, making notes of plot lines that have been missed or odd coincidences, problems or time issues as I go. I edit each chapter as I go, letting it expand if I need to (I'm much better at cutting than expanding) and adding descriptions, epigraphs where I was putting them in, and solving issues as I go. Add a chapter, edit, make notes. It's a quick process, I've done twenty-five thousand words in three days, and should finish in time for the first editor and agent read in May. It's very satisfying, but a bit terrifying as well. Each time I hit a plot twist that doesn't work, an unfinished strand, I panic a bit, but a few hours thinking (or gardening, or painting, or chatting to the chickens) and the answer pops up. Sadly, an ending hasn't yet, not that the action doesn't end, it's just that book 2 is leaking into book three and I can't see where to cut. Book 1 is now going to be proof-read by someone else, and the pages also come to me on hard copy for me to read through and correct. It seems OK, I was sent a Word document to look at and all seemed basically good. It's down to typos and grammar now, which means I can't correct a plot or dialogue problem. It's kind of done now, any mistakes are going to be immortalised in the printed book. Sobering thought. It's been nice to sit in the sun and write and potter and wander around the garden. 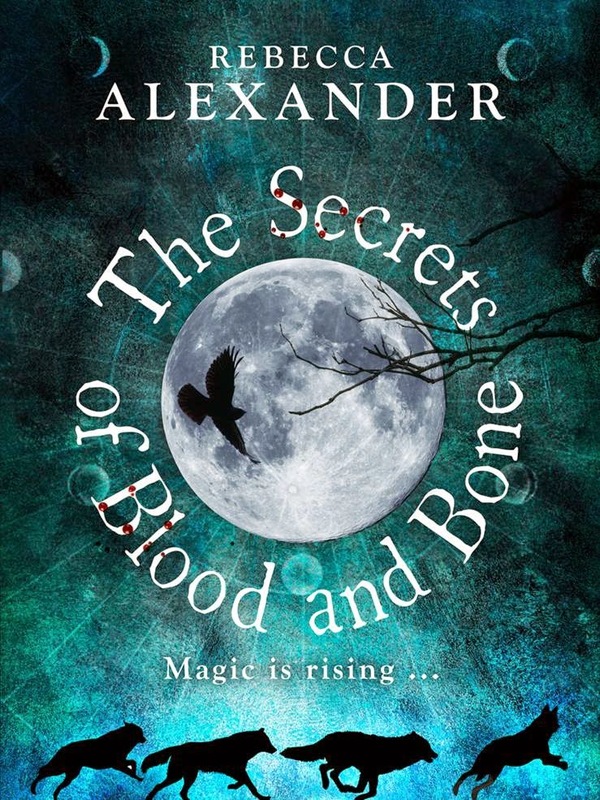 Lovely job, even though I am raring to go on book 3 and 4! It's taken me a while to read this - see previous entries about deadlines and copy edits - but it was worth the wait. The second those edits had gone, my feet were up, cat installed on my lap, and the book opened. It's one of those books whose characters are so richly drawn they stay with you. 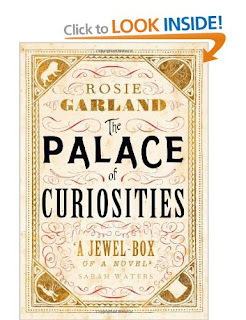 Not over drawn, there is plenty of space for the readerly imagination to fill in detail, but still beautifully evocative descriptions of people, places and events. Some, the slaughter scene especially, are vivid and uncomfortable, but necessary for the intense perspective of Abel, one of the main characters. The other, seeking acceptance and love is Eve, and through her story we see her grow and mature into her own person. I disagreed with the Guardian review as to pace. I liked the middle of the book, especially as we get to meet and understand the characters that revolve around Abel better. I liked Eve, and understood her unfurling into the stronger woman. 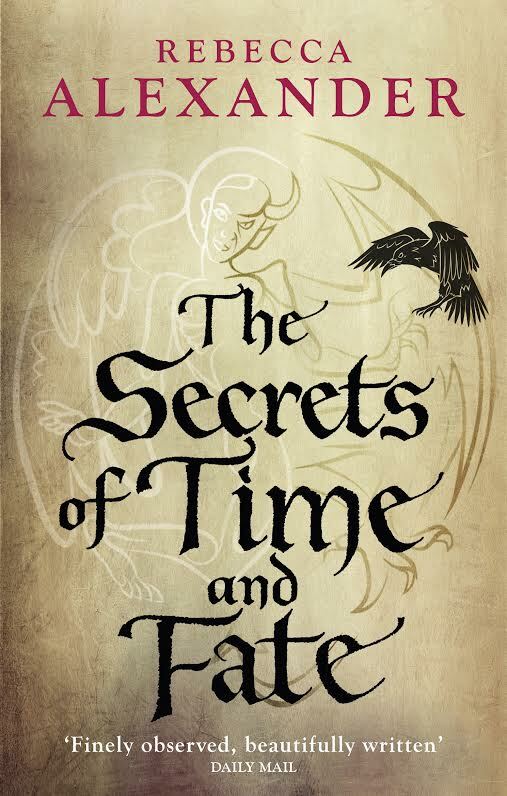 I also loved the beginning, where Eve speculates on her conception in an almost fairy tale way. As a writer, I would have preferred less 'leered, growled, yelped, roared' in exchange for a bit more showing but that's a personal preference. The dialogue itself is very good. 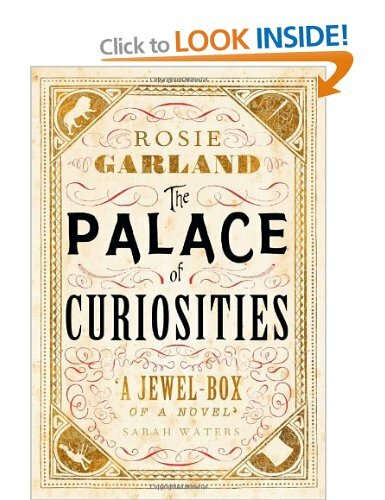 The descriptions are stunning, completely evocative, and as someone who struggles with description, I am filled with envy. She won the Mslexia competition, I think this is one of the reasons why. Wow. It wasn't a difficult read. In fact, it was so readable I devoured it in two sittings, with just two changes of cat. It will be one of those books that I periodically take down, start to read, and find another little gem of imagination unfurling in my mind. I can't wait for her next book. I have the copy edits back from the copy editor, and I am very happy (and relieved). She wrote some lovely things about my book, and while I suppose they always are positive about the books editors have paid for them to edit, they felt like lovely compliments just when my confidence was sliding a bit. In education, people are looking for things they don't like, things that don't really work. She was very focused on things that did, which is very helpful because I can work on those in the sequel. The manuscript, which she described as 'such a clean script!' is now completely covered with red corrections, some as small as an errant dot or comma, some a couple of words that scan better. I can hardly disagree with any of them, and of the short list of things to work on, only one really got me thinking how to solve it. Such a relief! The copy edit process is also a great learning tool. The editor has pointed out stray Americanisms, old-fashioned writing style, anachronisms, formatting preferences for Del Rey UK, that sort of thing, that will make it easier to get those right from the start with future books. A great bonus for me, and free! 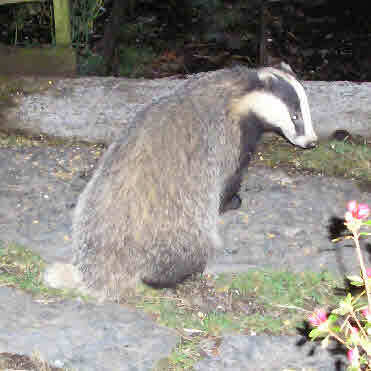 Last thing...this is a gratuitous picture of a badger. They come up to the front door to snaffle bird seed and steam up the window, and I finally got a close up of 'Small'. In this picture he was five feet away, and I stayed behind the door (because they can give a dangerous bite). He was so busy licking the stones, I had to whistle to get him to look back. I'm boasting now...but not about anything I did. The cover art is back, polished and argued over (not by me, I loved it, although initially I would have preferred the lettering in gold. I would have been wrong). How cool is that? The strange thing is, I have a pen pot on my desk with jackdaw and jay feathers in it. I love the cover. I prefer the new write up they've written for Amazon too. Wow. It seems I have actually written a book. The copy edits are due back any day. I'm not nervous this time, I'm excited, I'm nearing the end of the process. After that, I get an actual copy of the book to work on and correct silly mistakes, then it's essentially done from my end. Mind you, once it's published I will never, ever look at it again. I know I'll find mistakes. The sequel is at the ugly stage. I printed it off and looked at the structural problems...hideous. A few weeks of reading it and playing around with it have helped me with my old nemesis - pace. Seriously, could chapters 14-17 go any slower? Chapters 33-39 are like a lightning tour, no room to allow any kind of suspense or tension to build up. Knowing that, the aim is to get a better paced (and better finished) draft off to agent and editor in May then I've got the early summer to spank it into shape. Sorry about that, I was dared to use the word 'spank' in a post. It was better than uvula, now that's a tricky word to casually drop into the conversation. But basically the book is 80-85% there, with lovely new scenes still to write and a much stronger plot strand to work on. Other news: we have finally finished the overhaul of my bedroom. Its walls, ceiling and floor were all in serious need of repair. Now the floor's been sanded and varnished, the walls plastered, the ceiling replaced, and the adjoining malodorous shower room (I wouldn't use it) has been completely replaced and re-tiled. It's lovely, I'm tiptoeing about in it, waiting for my new bed to arrive and for the landlady to throw me out. The sun has shone almost every day for three weeks, and now rain has drenched my poor plants. Finally the cold has let up, and we can get on with Spring. We spent the morning wandering around RHS Rosemoor, it was gorgeous. 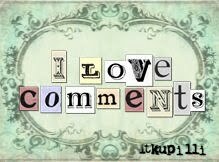 I try and blog fairly regularly, when I have something to say hopefully (not always) but I've been absent for a while now. I strained my shoulder doing decorating and sewing giant curtains and couldn't type, sure, but really I just needed a break while pondering book 2 and spending more time with my patient family. Thinking time is essential, and for some reason, I can't think at the computer. So I've been looking at what's wrong/right with the book, planning other projects, running ideas past people and genrally taking a break from the typeface. I recommend it. I'm in a good position with the next two projects, and playing with a long term idea.My shoulder is still painful, so I'm off for more thinking time. I'm also reading, and can recommend The Night Circus by Erin Morgenstern. A fantastical love story with a great ending, I really enjoyed it and the writing is artful and lyrical, evoking so many sense impressions. It was too much to read in big chunks, I savoured it over a few weeks, a section at a time. Many years ago I wrote a couple of musical theatre pieces with a home education group. It was fun, it was incredibly hard work and it was a giant collaboration between some very talented and motivated people. Not to mention, the imaginative driving force, which was a group of kids. It was great, and I'm playing with a few ideas to do it again. It helps that I live with a very talented songwriter who loves musicals and is good with kids. My youngest child is loving all the workshops and courses at the local theatre, and can sing, my nephew has a great voice and is enjoying youth theatre...lots of enthusiasm from them. It's nice to be playing with other genres, it all helps with the fiction. For me creativity in one field sparks off imagination in others...what do you think?